Jolene is the Executive Assistant to Amy Bohutinsky, COO of Zillow Group. 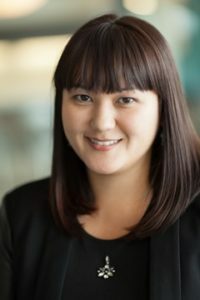 She joined Zillow in 2013 as a Group Administrative Assistant supporting the CMO, VP of Marketing & Product Management, VP of Brand Marketing, and the marketing team. While she has provided support to multiple executives in the company, she has continued to work with Amy since she began. In the 13 years since Jolene began in the administrative support field, she has worked at small startups as well as midsize organizations, most recently at Intellectual Ventures. She has been with many companies that have undergone rapid growth and is familiar with the challenges that come with scaling and creating processes and procedures. She enjoys the internal and external connections she is able to make in the role, the variety of responsibilities, and the flexibility it offers to learn about various parts of an organization. Jolene will be one of the distinguished contributors at the Executive Leadership Support Forum: Seattle on September 26-27, 2018. After thinking about it and doing a fair amount of research, I went back to school several years ago and finally obtained my Bachelor’s degree in Business Management. It was more of a personal goal than a professional one but I knew it could only help me in my work and I have found it has truly helped boost my self-confidence when interacting with others professionally. Best practices is always a favorite topic of mine. You don’t know what you don’t know and it’s always great to get new ideas from colleagues in the support field. My iPhone! It frees me from being stuck at my desk. I’m able to check emails, maintain contact with coworkers via our Slack app, check my executive’s calendar via the Outlook app, and access our company intranet using the app our team created. Connections mean a lot; build and foster them. Don’t be afraid and doubt yourself. You can accomplish so much, especially with the resources you gain from your connections. And when things seem like they’re going too fast, pause for a moment to take a deep breath and realign yourself.